Biblia Chora Kavala The great wine-making tradition of the area dates back to ancient times. The location of the vineyards is on the southern slopes of Pangaion. The Phoenicians, a naval merchant and merchant of antiquity came to the Pangaion area to search for precious metals. One of their most significant explorations though was wine. They contributed significantly to the propagation of vine varieties and wine making and produced the famous in antiquity "Bible Wine". 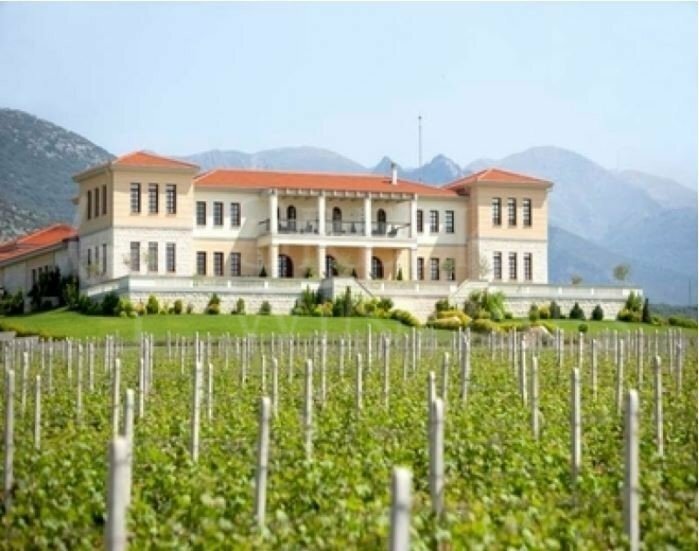 Τhe area eventually became a wine-growing center known in ancient Greece under the name "Biblia Chora".The wine-growing tradition of the region is not accidental. The stony terrain and the climate of the area influenced by the cool Aegean breeze are the most important factors for the production of grapes that give high quality wines. In 1998, the first vines of the Estate, covering an area of 0.70 ha were planted. In June 2001, the construction of the modern winery began, and in the same year the first wines were produced. 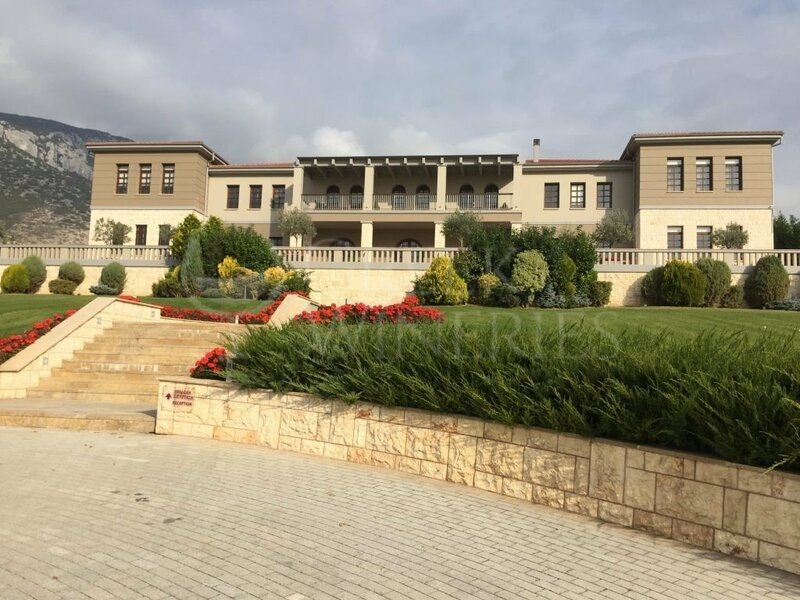 Today, the Estate has a privately owned vineyard of 3.50 ha, which surrounds the winery. 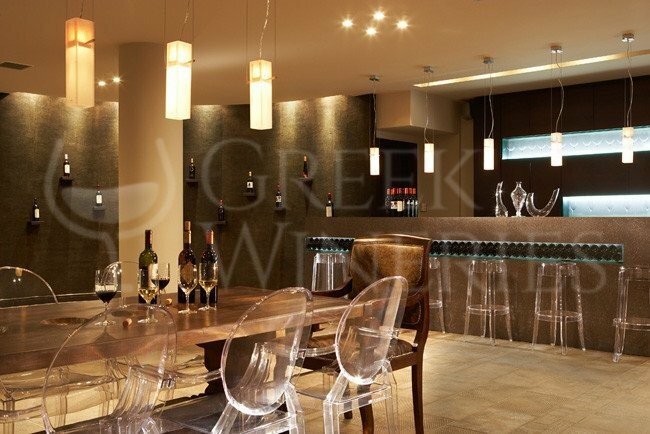 Greek and foreign varieties are cultivated as per the standards of organic viticulture. The Estate Biblia Chora is open to all visitors. The visitor can experience a very special tour in the vineyard of the Estate that surrounds the winery and get informed about the history of the wine and the vineyards of the region, as well as the traditional and the modern production methods, such as organic farming. The visitor can visit all production areas, from bottling to aging areas, explore the underground cellars and visit the reception and conference rooms. Finally, the visitor has the opportunity to taste the wines of the Domaine in the special tasting room.